Available in five different colors, these aluminum cased drives have plenty of engraveable space. 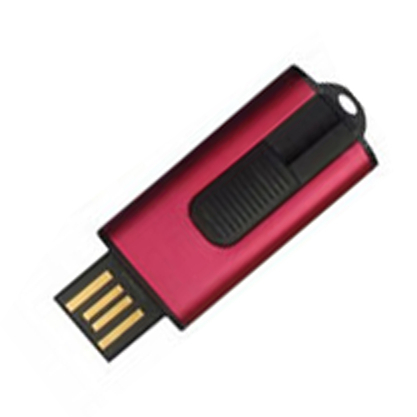 The USB retracts comfortably into the body of the drive with just a click of a button. Product materials: Plastic Compatibility PC or Notebook with a USB interface Operation Systems Windows Vista/XP/2000/ME/98/95, Mac OS 8.6 and above, Linux 2.4.X Drivers Required only for Windows 98/95.